It seems I’m a wee bit smitten with tomatoes. For years, I couldn’t stand them. I’d pick them out of salads, pull them off pizzas, avoid them at all costs. Then one day I gave them another try and I was totally in love. I’m still kind of picky - I don’t like really gushy ones, and I prefer them cooked, but lately I just can’t get enough. My very favorite way to enjoy a tomato is through soup. I’ve liked tomato soup for ages - way before I liked tomatoes themselves. I’ve got a confession for you - I really love tomato soup from the can. As in, the red and white can. Oh yes, I eat way too much canned soup in the fall and winter. I’d never attempted to make it myself because I wasn’t sure I could improve on that tin can goodness. Yes, I am a bit crazy. I did just say “tin can goodness”. To my credit, tomato soup and ice cream sandwiches are just about the only things I prefer store-bought. When N.E.E.T. magazine asked me to contribute a “comfort food” recipe for their fall issue, the first thing I thought of was tomato soup. I was pretty certain they didn’t want a picture of canned soup though, so I finally gave homemade a chance. And guess what? It’s so much better than the other stuff. Totally surprising, right?! ;) I’m going to be making batches of this and freezing it so I can cut the sodium glut that is Campbell’s out of my diet! I kind of had no idea what I was doing with the recipe, I was just guessing but it came out terrific. I roasted the tomatoes with shallots and added thyme, because I’m on a tomatoes & thyme kick. But you could add any herb you’d like. If you’d like to try it out (and trust me, you do), head on over to N.E.E.T. (A lot of people were having trouble accessing the recipe, so I've added it below.) The recipe is on page 140, but be sure to check out the rest of the issue. 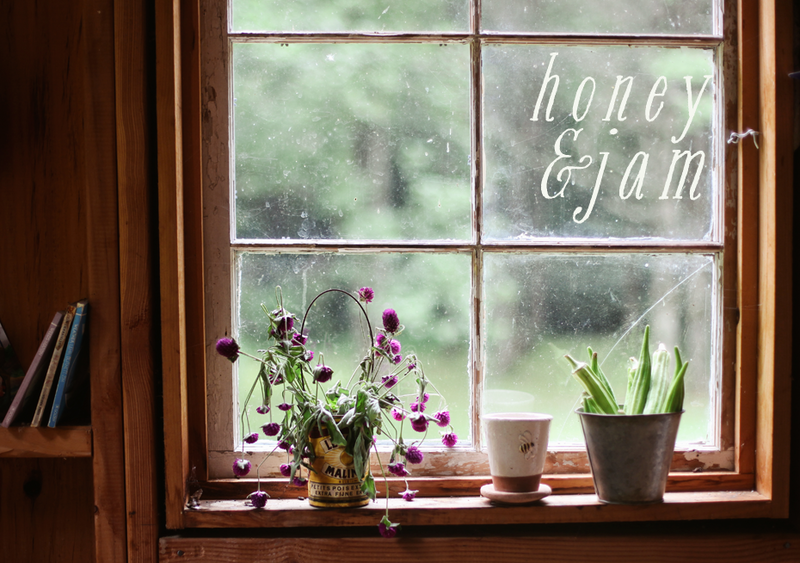 It features recipes from two of my favorite bloggers Julie from Always with Butter and Stephanie from Desserts for Breakfast. If you haven’t seen their blogs, go now! Both are outrageously beautiful. Preheat the oven to 400f. Cut tomatoes into quarters, (if you’re using cherry tomatoes, leave them whole). 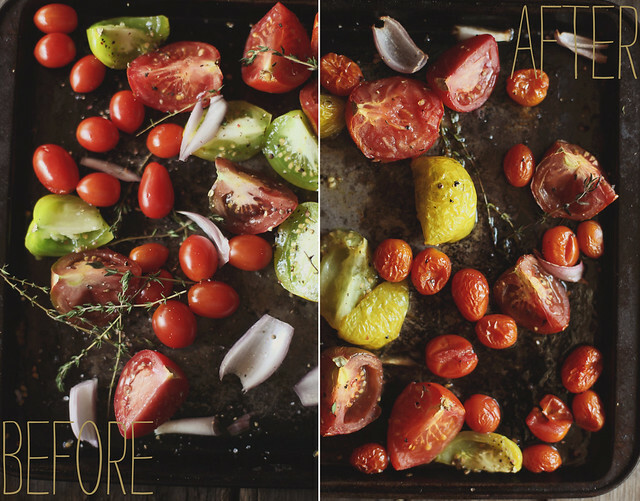 Spread the tomatoes and shallots on a baking sheet. Drizzle with olive oil and sprinkle with salt, pepper and herbs, gently toss. Roast for 30 minutes, or until tomatoes & shallots and brown and have caramelized. Remove the pan from the oven and allow to cool slightly. Dump all of the pans contents into a food processor and blend until smooth. Slowly add in stock while blending. If you soup is too chunky for your liking, pour through a mesh sieve. Pour contents into a large stock pot, add heavy cream and simmer for 15 to 20 minutes. Garnish with pepper, herbs, and crusty bread, enjoy! Um, these photos are amazing. That first one stopped my heart - so gorgeous. And, I've been eating tomato soup all week, too, but out of a box. I might have to make this. Thanks for all the loveliness! I always enjoy coming here. You and Kam are twins!!! Love these tomato soup recipes! Your pictures are gorgeous and the soup sounds mouth watering. ps. how many servings does your recipe make? Gorgeous photos! Love your version of tomato soup. Gorgeous Hannah! I have a bounty of tomatoes in my garden right now and love making tomato soup. Your photos are so beautiful! I was the same - always picked tomatoes out of everything because I hated them. Now I love them. I've never had tomato soup though, haven't got that far.. I love your photos so much! What camera do you use? I cant wait to make this soup!! It looks fabulous. i just had a delicious tomato basil soup for dinner in barbados, and now i love the idea of making my own version! i can't wait to come home and try your recipe! I am jealous you dig the canned stuff - I buy it then just never get inspired to eat it (would be so much easier). This soup looks like the perfect comfort food. Congrats on the feature! I'll have to try this soup... tried your potato soup recipe last week and my family and I loved it. Thanks for the discount code to Terrain, too. I'd been eyeing the cutting board and finally purchased it. Your photos of the soup are just stunning!!!!!!!!!! Wow! I saw it on the magazine and then jumped here. Love every single picture. The recipe too, of course. Thank God we still have some tomatoes from the local fields at the market. Oh, actually, it's this morning...Ok, tomato shopping! I have already made it! I have already made it! And it was outrageously delicious. Definitely. I fall in love with it. And, oh my. Your photos make me crazy. I adore your lighting technique and the simple, rustic feeling of your them. As warming and inspring as usual - thanks for sharing with us! We love tomatoes - any kind and in any amounts... God, if I had to choose the food I want to take with me to the desert island... I would choose a huge basket of tomatoes... :) and your soup is one of my favourite ones.... :) delicious pictures!!! I used to pick raw tomatoes out of salads, too! Now I just adore them. Beautiful soup and photos... actually have a bunch of fresh ones on hand. Would love to try this. Tomatoes are one of the most delicious things in this world. I love them roasted, too. Once summer comes my way I'll be trying this delicious soup! Great tomato soup and awesome photos!!!!! Beautiful photographs, as always. I aspire to being one-fourth the photographer that you are . And your tomato soup - seriously delicious! I make a tomato and tarragon soup that is very good, too. These photos are beautiful. I love tomato soup with cheese on toast on a cold, rainy day,the ultimate comfort food. That some super beautiful soup. You and Kamran made two pretty tomato soups! Hannah!! This looks simply stunning! I can not wait to give it a try! These are beautiful. Love that there is a mix of them. I have never made roasted tomato soup. Must try! Love the photos... gorgeous, thanks for sharing, had lots of tomatoes and didn't know what to do with them. Thanks a lot. Love your blog. came by via dawn at may all seasons be sweet to thee... what a lovley blog...just beautiful...am happy to follow and am off to preheat my oven...i am making your brownies RIGHT NOW !!!! I don't usually like tomato soup, but this one looks amazing. I always look your food photography. You inspire me! These pictures are just so wonderful. Exactly the kind of photography that inspires me - love. Congrats on being featured in N.E.E.T. too! Love your photos and the food looks so tasty! Hard to resist the tomatoes this time of you! I adore tomato soup too. made the recipe last week and it tasted great! Gorgeous - just like eye candy! Loving the idea of simple soup being so scrummy! Beautiful pictures! I love the before and after; you can really see how roasted and caramelized they are afterwards. mmmm i can never have enough tomatoes and homemade tomato soup makes you never want canned soup again! But this roasted tomato look and sounds amazing I cannot wait to try this! Hi Hannah! Love your blog always and this is just the thing I was looking for to use up these tomatoes a friend gave me. I shared on my bog and linked up. 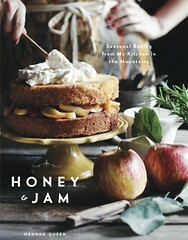 this looks unbelievably good--so perfect for this cold, rainy day in New York. 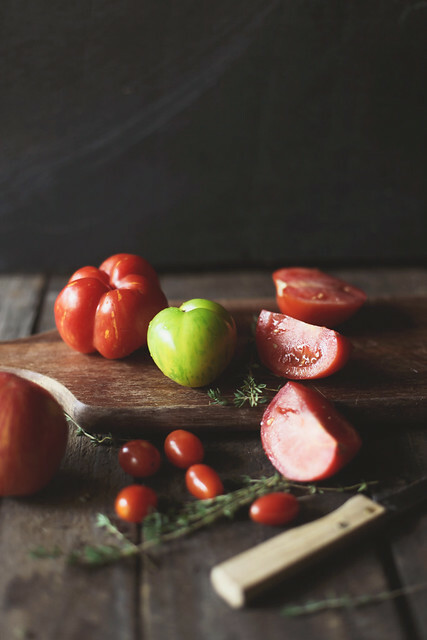 And the pictures are gorgeous; i LOVE the deep red of the tomato against the rustic wooden background. I for one am very pleased that you have been in a tomato mood lately. Our garden is popping out tons of tomato babies and I need ideas for what to do with those sweet thangs!!! I love tomatoes too and tomato soup is stunning especially with a nice fresh French Loaf. This looks ridiculously good!I'm going to try it when my tomatoes come into season. Thanks for sharing some of your favourite blog sites too - I love Cakes for Breakfast and I've now just added Always with Butter to my blogroll! Looks absolutely delish, perfect with a grilled cheese! Your picts are amazing--just gorgeous. And I want to make that soup. But, umm...I can't find the recipe on NEET. Any idea how to get to the recipe online? well, never mind...I finally figured it out! Can't wait to try this recipe. Can't wait to try this! I've never been a fan of tomato soup until this past year but have become obsessed. So good with an ooey gooey grilled cheese sandwich! You have neatly summed up my relationship with tomatoes. I prefer them roasted, but if they're sweet and ripe, I can (finally) appreciate them raw. Tomato soup, though, has always been a favorite. Looks great! Oh, yes, yes, yes! I make a roasted soup as well, only instead of shallots, I use garlic cloves. It's a little monster-breath inducing, but SO tasty on a chilly day with some crusty bread. NOM! Very pretty! I work on a CSA farm and we are so tomato-heavy right now that I keep taking tomatoes home and saucing and getting a bit desperate! So this could be fun to try. I can't believe I've just found your blog! It's so amazing. Can't wait to keep reading. Of all the soups we made when I was a culinary school student, we never made a roasted tomato soup. My favorite. No worries; I can make this one myself. And this is the time of year to do it. I loved your tomatoe-soup story of love:) I must say it is my favourite too! Very good shots! 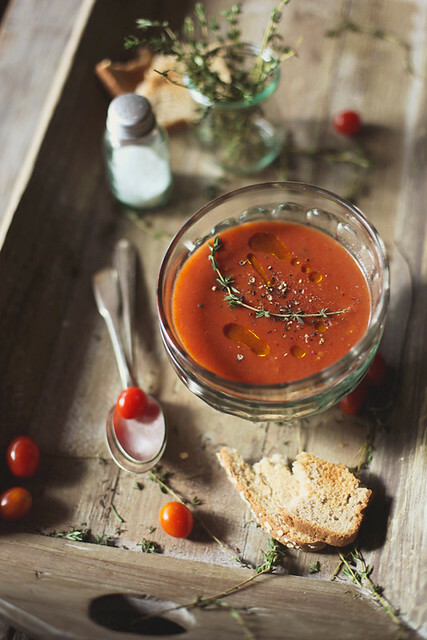 There is absolutely nothing better than roasted tomato soup! Sometimes I go all south-of-the-border with it and roast some tomatillos, a bit of jalapeno (careful!) and cilantro with it. Yum! I have been looking for a good tomato soup recipe for a while now. My daughter loves tomato soup so much, she asked me which restaurants served it, so we could go there for her birthday! I can't wait to try this, I'm sure she will love it! Exquisite photos, as always! I'm trying this method for making salsa - I used red onions and serranos, and will add lime juice and cilantro when I blend the tomatoes. Thanks for the inspirations! I have this recipe on my blog , but made ​​a little different! I will try your version next time! I join this blog, like a member! First off I'd like to say that I love the creativity that you bring to your photos - they look like they come out of a magazine! Second, I can't wait to try this tomato soup recipe because I've never found a great recipe like this!!! Thanks for sharing! Great posting. Tomato soup (made in tomato season) is just about as good a meal as any! Oh man, I love autumn but this is making me miss late summer, is light, and edible bounty! Roasting the vegetables for this simple summer soup enhances their inherent sweetness. I made this recipe Tuesday night and I'm pretty sure it's one of the best things I've ever put in my mouth. love the creativity that you bring to your photos - they look like they come out of a magazine! It’s so much better than the other stuff. That's a perfect and a healthy one.. This is surely delicious and nutritious. this blog is beyond describable words. phenomenal photography I cannot stop scrolling through it all. There are some notes of making this tomato soup and souse.As it is need in every food items and for this it is need to learn as soon as possible by them.without this the proper taste doesn't come while eating. I grew up on tomato soup and grilled cheese sandwiches. I hated tomatoes for years and have recently added them back into my eating routine. 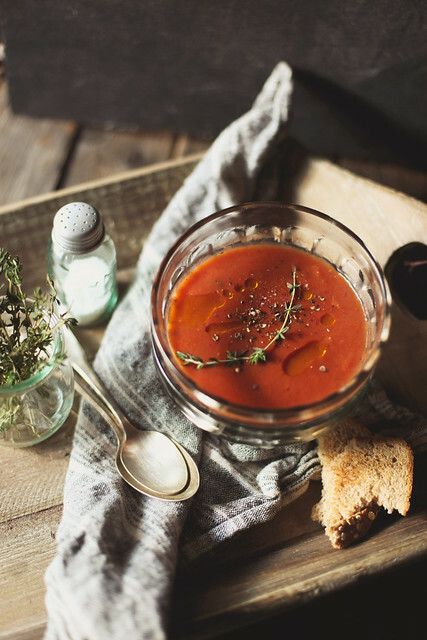 Your version of tomato soup looks amazing. Thanks for sharing the recipe! For the longest time, I did not like tomatoes. 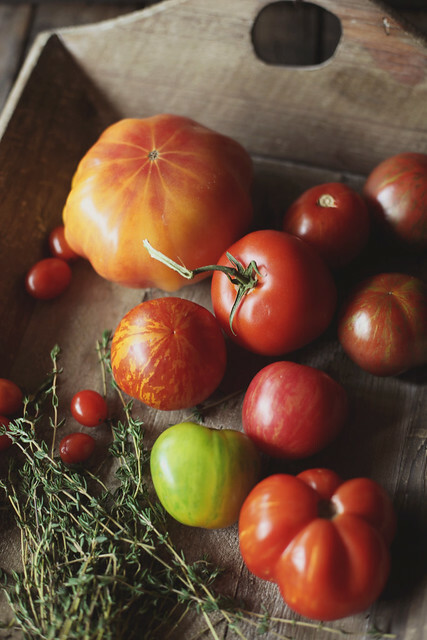 I am still not smitten about raw tomatoes. However, I have grown to love tomato soup. Your photos are beautiful.